Craig Resnick covers the PLC, PAC, HMI, OIT and Industrial PC markets as well as the Packaging, Plastics and Rubber Industries for ARC. 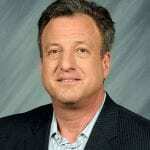 He is the primary analyst for many of ARC’s Automation Supplier and Financial Service clients. Craig’s focus areas also include Production Management, OEE, HMI Software, Automation Platforms, and Embedded Systems. Craig has 30 years’ experience in sales, marketing, product development, and project management in the industrial market, gained with major suppliers of PLCs, process control systems, power transmission equipment, and field devices. 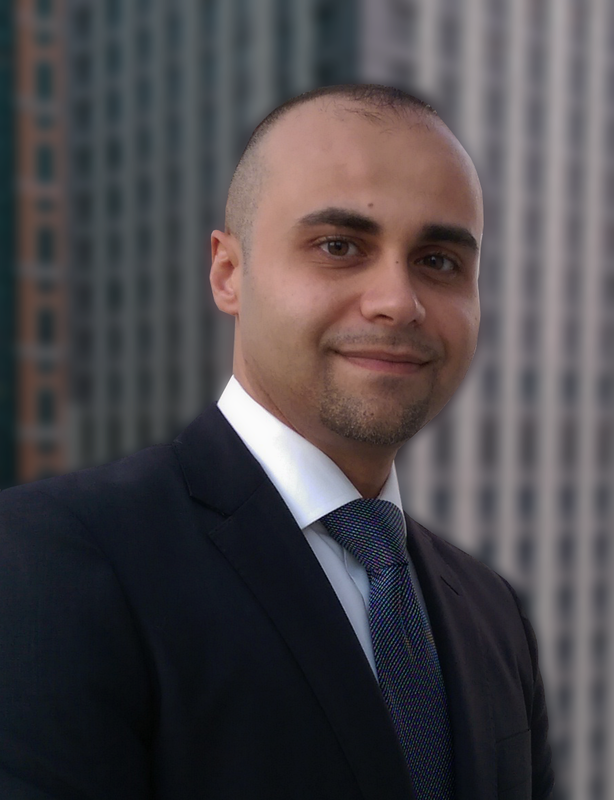 Craig is a graduate of Northeastern University with an MBA and BS in Electrical Engineering. It’s become somewhat of a year-end tradition for ARC Advisory Group to predict the top five or six technology trends that are likely to play out in the coming year for our Advisory Service clients. New technologies continue to make their way onto the plant floor and at an almost dizzying rate. This has both positive and negative effects for those responsible for investigating, implementing, using, and supporting operational technology in industrial, infrastructure, and municipal environments. On the positive side, it offers the promise of exciting new capabilities to help industrial organizations and smart cities meet their operational challenges. On the negative side, it’s becoming increasingly challenging for to-day’s typically “bandwidth-constrained” operational, maintenance, and engineering staffs to make sense out of it all and zero in on the handful of new technologies and approaches that should be on their respective radars in the coming year. In 2019, we see further acceleration of the convergence between IT and OT to support the ongoing digital transformation of industry and infrastructure. In no particular order, the top five technologies that we believe will play out over the next twelve months or so follow. Not co-incidentally, several sessions at the upcoming 2019 ARC Industry Forum in Orlando, Florida will include end user presentations and workshops on these and related topics. As baby boomers retire and are replaced by millennials, knowledge transfer is a major challenge. One solution is to deploy augmented reality (AR) technology, where the user sees the real world with information digitally overlaid. AR devices “sense” what the worker is looking at and display only the data needed for the operation at hand. This is accomplished with video-see-through technology, such as when using tablets or smartphones, or with optical-see-through technology, such as when using smart glasses or wear-able computers. 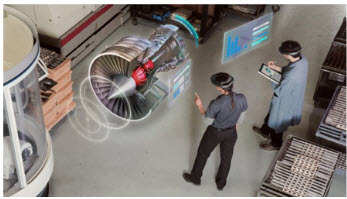 For example, in product assembly operations, the AR device prompts an operator with work instructions as augmented reality overlays physical and digital twin models, monitors progress, provides feedback, and incorporates automated inspection for quality control. In an-other example, for maintenance and service operations, AR devices provide maintenance and service technicians with detailed workflows and procedures, such as asset diagnostics, work order information, recording capabilities, and a platform to contact remote experts for assistance. AR users can share their video feed with a mentor and that remote expert can overlay annotations or feed the user with manufacturing/maintenance details for better contextualization. Companies that employ AR achieve faster throughput, reduce rework, and lower downtime. Workforce changes also create a major challenge for training that goes beyond YouTube videos, on-line, or classrooms. One solution is to deploy virtual reality (VR) technology where the user is fully immersed in a virtual world presented through a head-mounted device. Eye- and head-tracking sensors synchronize the virtual display with the user’s motion. VR is a powerful tool for creating immersive experiences and lends itself to applications such as product and process design or training simulations. VR can provide a highly realistic virtual training environment with contextualized, real-time data overlaid. This enables operators, maintenance technicians, and plant engineers to explore a variety of plant and field scenarios in a safe, off-line environment and prepare for the real-world environment with reduced unknowns. VR enables near-limitless creation of training scenarios with zero risk of disrupted operations. The VR training method is gaining traction in the process industries, where competency requires familiarity with equipment and operational and maintenance procedures. It is often challenging for millennials to acquire this familiarity, particularly for sophisticated and/or rarely executed tasks. VR provides these workers with a repeatable, low-stress learning environment in which to master these skills. Given the increasing convergence of information technology (IT) and operational technology (OT) and today’s emphasis on digital transformation, manufacturers must focus on deploying computing resources where it makes the most sense to do so on an application-to-application basis. A simultaneous approach that utilizes both cloud and edge solutions has emerged to enable industrial organizations to distribute computing resources more broadly. In industrial environments, edge technology is used to get the right device data in near real-time to drive better decisions and even control industrial processes. Once processed and analyzed, the data is sent to the cloud, which allows the organization’s IT group to leverage this often-critical business information. The simultaneous edge/cloud approach entails deploying edge devices with embedded analytics, edge servers, gateways, and cloud infrastructure to deliver industrial-grade availability and performance. By combining both edge and cloud technologies, industrial and infrastructure organizations can provide appropriate personnel with actionable information to support real-time business decisions, leveraging asset monitoring, analytics, machine learning (ML), and artificial intelligence (AI) to make sense of and act on complex data patterns. This will help organizations better identify process and other operational inefficiencies and pinpoint potential safety, production, or environmental issues. Many industrial organizations consider cybersecurity to be their greatest threat today. Reports on industrial cyber incidents show that attackers cross IT/OT boundaries and exploit gaps in security responsibilities. Organizational silos also complicate efforts to pool resources to help alleviate the cybersecurity talent shortages plaguing both IT and OT groups. Industrial IoT devices and network edge equipment expand an already challenging attack surface. Integrating information from sensors within and outside control systems creates more confusion in IT/OT responsibilities. Adding more suppliers further complicates enforcement of security requirements for new assets. To help combat this, companies will converge their IT and OT cybersecurity efforts, which will help to clarify responsibilities and remove security gaps. It will also help ensure more consistent security levels across entire organizations. Combined, this will help to reduce the organization’s overall cyber risk. More and more plant and other assets will come with digital twins that provide a virtual representation of the asset. These digital twins contain an archive of asset-related information, such as drawings, models, bills of material, engineering analysis, dimensional analysis, manufacturing data, and operational history. This historical information can be used as a baseline when benchmarking asset performance. The digital twin will also have an archive of real-time data acquired via integrated sensors or external sources that can be used for condition monitoring, failure diagnostics, and both predictive and prescriptive analytics. Any knowledge gained will add value to the service life of the asset, such as improving efficiency, reducing downtime, anticipating failures, and providing insight for continuous improvement. The digital twin can also be deployed to provide plant personnel with operational intelligence. By bringing together Big Data, statistical sciences, rules-based logic, artificial intelligence (AI), and machine learning (ML), manufacturers and other industrial and infrastructure organizations can use these digital twins to help discover origins of complex problems and determine options for resolving. As assets increase in complexity, demand for assets with digital twins will continue to grow rapidly.